Antissa. Antissa is a village in the west of the island of Lesbos, 81 kilometres from Mytilini. It is built in a small forest at an altitude of 300 meters and it is known for its characteristic town square. Gavathas is the port of Antissa. Between Vatoussa and Antissa is "Moni Perivolis". This monastery is famous for its beautiful murals and crystal clear water flowing along the monastery. Just after Antissa, on top of the mountain Ordimnos, you will see "Moni Ipsilou". This monastery has a museum with holy heirlooms. Another beautiful monastery in the West is "Moni Pithariou" located close to Eressos. 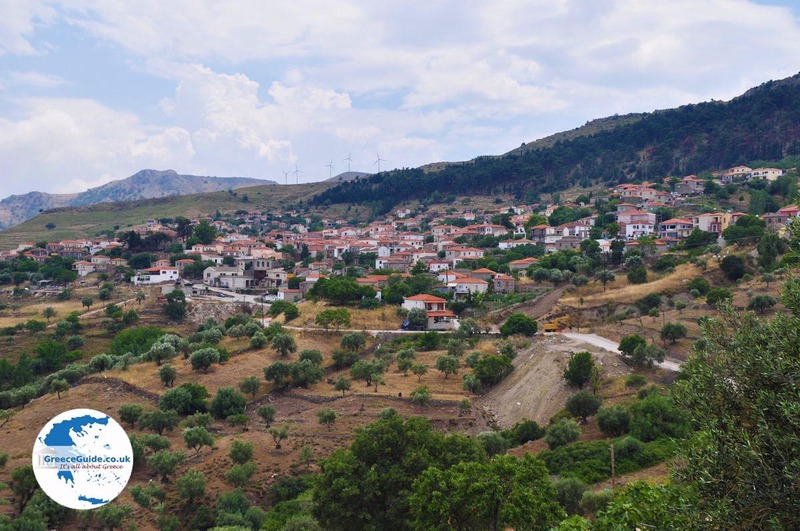 A bit further away are the villages of Rema, Pterouda and Chidira. Mesotopos is also worth a visit if you love traditions and traditional products. Here the women's cooperative is engaged in the making of special cakes, biscuits, pasta and many other products. The port is the village of Tavari, with the beautiful sandy beach Chroussos. 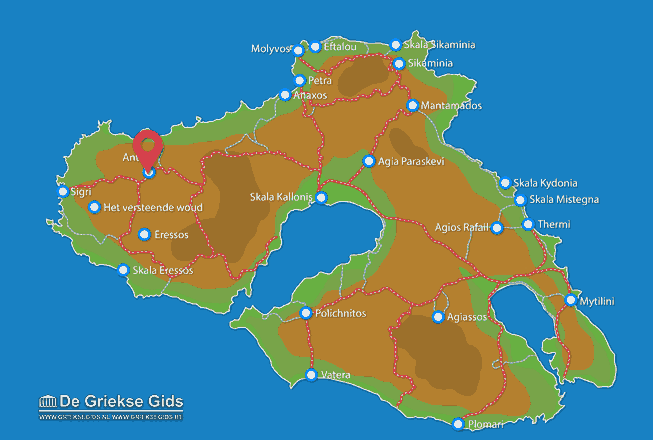 Lesbos: Where on the map is Antissa located?